June Jordan, a native of the Shenandoah Valley, received her BFA and MFA from the University of Georgia with a major in ceramics. She produced pottery in her Fodderstack Pottery in Washington, Virginia from 1965 to 1982. During the school year she taught ceramics at the University of West Florida from 1969-72. In the late 80’s her interest in painting was renewed at which time she began studying with prominent painters/teachers. She ran Packing Shed Gallery in Washington, Virginia from 1999 to 2007. 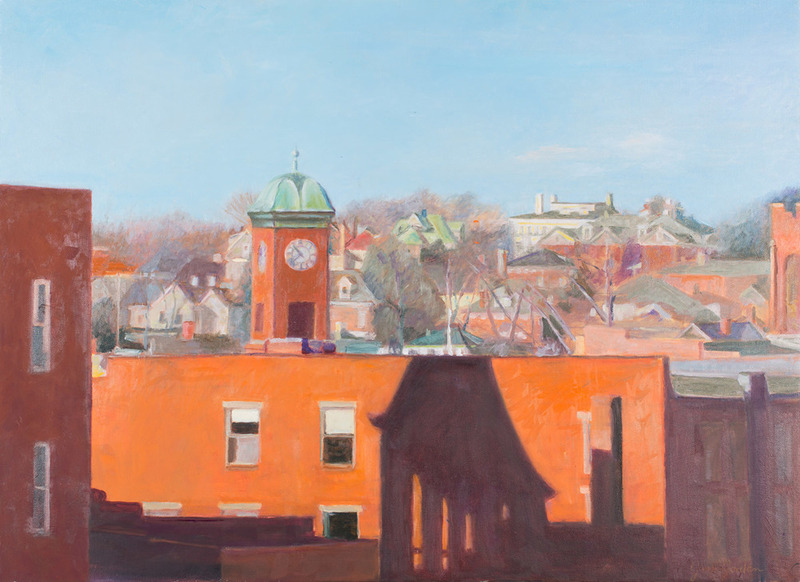 In 2009 she moved from Rappahannock County to Staunton, Virginia where she continues to study with teachers from the Beverley Street Studio School. Jordan has been in national and regional juried exhibitions since 1991. She has received awards from Art League in Alexandria, Virginia and other regional juried exhibitions. She is represented in private collections throughout the United States.